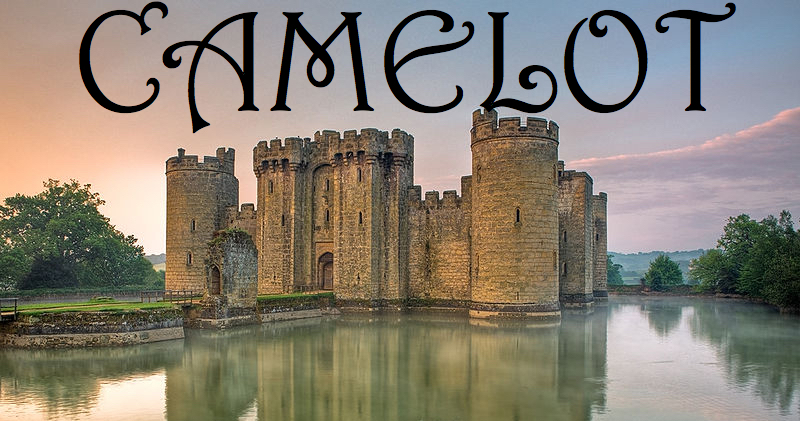 Camelot, is it lost or can it be restored? Before I share my thoughts can I share a secret with you? I have written this essay several times in recent years ( alas it has only been in my head.). The reason I have not put my fingers to my keyboard I thought it was too inflammatory and would damage my own particular interests and standing with the various people I have connected with both in my business and life. So why now after wasting time prevaricating have I made the decision to commit my thoughts into text. Throughout my career, I have had an interest in following economics and social trends. I do claim to be an expert, far from it but would like to think I have amassed enough life experience to put forward a balanced view how I see the landscape here in Australia. So if I may begin? I arrived in Australia in August 1983 on a rather clandestine mission to investigate a company in Sydney, my stay was to be a relevantly short, 3-4 weeks. Excitement would be an inadequate word to describe my feelings about the opportunity to visit this wondrous far away land although this assignment came with a sense of trepidation and self-doubt. What immediately struck me as I departed the airport concourse was this amazing cobalt sky, so high it seemed unreal. Believe me, this was a revelation for a person hailing from the normally dismal weather in my native north of England. What shocked me, even more, this was mid-winter. Moving the above story on the assignment was completed to my absolute joy my company requested that I should remain in a more permanent role therefore my wife and I relocated to Sydney, Australia. For both of us, life was to take on a whole new meaning something we had never been exposed to. One has to say from a cultural standpoint it was nothing we had thought it would be so dissimilar from how we lived back home. The lifestyle was extremely seducing, unhurried, laid back and a million miles away from what was going on in most of the world. Friendliness was its trademark, community togetherness was highly noticeable. The concept of what we came to learn as” mateship”, where basically you looked after your friends and people around you and came to their aid in times of trouble was a bedrock. My wife and I began to think if Camelot( the fabled idyllic land) really existed it would be like this, to my knowledge nothing on this earth could compare. To my chagrin, after four years having been absorbed into this unbelievable country and lifestyle we were forced to leave. A series of unanticipated events dictated our departure. My career was to take off on a meteoric path as I was requested to assume responsibilities for visiting over twenty countries around the world in a change and troubleshooting role. wider climes was the right one, oh the beauty of hindsight. My regrets have been tempered by being able to objectively view the country from the outside then returning to what has now become our permanent beloved home. Fate can be a strange mistress and so it was to be I was called upon to intervene in a serious matter with another company in Sydney. in 1994. My euphoria at our return was tempered by the prospect of the work ahead of me but something else was bothering me, nothing specific just a sense things were different. In our absence dramatic changes were taking place here and abroad, a deep recession crippled the economy and the highly carefree attitude to life was clearly under threat. The sentiments expressed in the famous song “True Brue” about Australian values being lost ( Which I had come to love) by the singer John Williamson, were beginning in some quarters to have some resonance. The rest of the world was dragging Australia rather unwittingly towards it, this idyllic continent was to be caught in a spider’s web one which it was unable to detach itself. In my work, I was to find certain Australians still held the belief that the country was bullet proof and nothing could dent their confidence they would continue to act as though this would never change, my deep hidden instincts told me otherwise. Ironically years later in a fictional American television series entitled” The Newsroom” this assertion was challenged only on this occasion the actors played out a scene about the USA. The dogfight between left and right politicians which have become our reality today was in full flow but like manna from heaven, something was delivered to our front door to change our fortunes. There was little or no thought at the time how this would have the effect of marginalisation of certain countries, it was seen as a new dawn. Hence Australia with its rich laden stockpile of much-needed commodities and resources received an unbelievable largesse of money into the economy. This minor miracle stopped the progress of our looming decline almost instantaneously, the ominous rain clouds disappeared and life resumed to its former form. Sitting right on our doorstep ( The Peoples Republic of China)) with its new found dual communist/capitalist system was the perfect market for our commodities and goods. This boom should have underpinned our prosperity for the future unfortunately not one section of our society exercised any restraint or vision, we all had our “snouts in the trough” from government throwing us tax cuts to fuel consumer spending. We showed our normal human avaricious tendencies until as the proverbial music stopped and we wondered what would become of us. Well, we did not have to wait along to find out as our modern version of Sodom & Gomorrah to be played out in the form of the Global Financial Crisis. No matter how we cut and dice it the capitalism model is how we have lived over centuries and in the main, it has served us well. Its key flaw only surfaces when man’s greed gets the better of him, such as the consequences of the GFC. This can be evidenced through history has normally been contained and life has gone on as before. I feel in this case what we are witnessing today is nothing I have seen in my lifetime at least in economic terms and may lead to wider implications how we all live around the world into the future. The combined events of the growth of globalisation and the Global Financial Crisis of 2008 have set in motion a chain reaction which may never to be untangled. Breaking conventions and traditions which were once the fabric that allowed us to maintain our lifestyles of days gone by. One should acknowledge some of the benefits of globalisation which has improved many lives around the world but with the value of hindsight that has been at the expense of the stability of mature economies. Put yourself in the place of a person of a production line worker of 60 years on a line in Adelaide, Melbourne or Detroit that is going to lose his or her job to benefit another country, furthermore, that person must re-train so late in life, it was a naive concept to expect it would receive a positive response. Maybe harsh, unfortunately, that is the price we pay for progress and change, it is unstoppable there is currently no other available route open to us, we just can’t go back. To seek the another element for the reasons for our current predicament, one must return to the subject of how “man” can use his influence, power and ultimately the application of the pursuit of greed to further his or her aims. I always was under the impression the purpose of capitalism was to ensure a fair distribution of wealth to all. In this instance, that sort of thinking was thrown out of the window. The economic boom that was occurring around the world became the plaything of very strong institutions such as banks, as governments stood by and let it happen. They abused their power and as we know today we are still suffering from their actions. The general population also played its part too by its reckless spending and actions, assuming debt levels well above their respective abilities to service them, if the financial winds changed. The full implications of the negative impact of globalisation and the catastrophic behaviours of financial institutions have now combined to create an almost worldwide backlash against authority with the major accusation it has broken trust with their respective populations. The wheel has turned full circle and the sentiments now being expressed around the world are now of a more protectionist view and stance. I can only compare today’s Australia to having developed a Jekyll and Hyde personality. It can be so great with unimaginable acts of kindness especially when people are up against it, that has always been the trademark of its character. The humanity of people has been the envy of others beyond our shores. Today I see another development, an uglier side. In my work, I have been given the opportunity to meet with many Australians from a broad section of society. I have been amazed at the level of anger still believing that the status quo has to be maintained and their expectations remain in place. The last throes of the baby boomer generation are upon us( I am one of them) and this might be painful for some to accept but the loudest protests come from this sector. Lamenting the times gone by and hoping against hope we can magically return to times past. For example, the notion that somehow we can reverse the decline of traditional manufacturing in Australia is, unfortunately, a myth which is still being expounded by sections of our communities. The structure of global manufacturing has changed forever. Our only hope may be in the production of lighter more advanced products but heavy industries will never return. The truth, Australia is fighting for its relevance in the world and the very cherished lifestyles we once held have little possibility to re-emerge anytime soon or perhaps never. It could be claimed that many of the reasons our country and society has negatively changed because of the two events mentioned above. We have been affected by matters outside of control although we cannot totally absolve ourselves from blame. The truth is that often the destiny of Australia is not solely in our own hands but dictated by others. The global instability that has surfaced in recent years blame is being laid at the door of politicians It shows no sign of subsiding and in fact, it could be considered to be escalating. In our case, the political divide appears to get wider as each day passes exacerbating people’s frustration with the process. People have resorted to supporting more extreme elements in the hope they can give them succour in these very unstable times. The ability to focus on solving some of today’s complex economic and social problems seems to elude them rather spending time in a game of tug of war power games. further angering the population. I have a view that the majority of the current crop of our politicians do not possess the necessary skills to solve the maelstrom that is swirling around us. Personally, I cannot foresee an end to these current state of affairs in the short term, there are two many forces that will not allow that to happen. The discourse across main sections of our country extends beyond the normal rigour of debate and opinion, something that has existed since western settlement. The voices of reason now appear to be drowned out in a new era of self-flagellation, its product being that no one wins as we dismantle the very values that have been built in this faraway and beautiful land. We can point to many cases in history where the application of education has managed to dispel misinterpretations between opinions and fact. A modern day dilemma where there are so many opportunities for expression suggests this approach is still valid. This principle invokes the need for education that compliments how we live today and not to revert to outdated practices which are now unworkable. It applies across the spectrum from school children, business, politicians and people in communities. Perhaps my analogy of the fictitious notion of Camelot cannot be restored but one can only hope that the generations to follow will take a different path to the one mine has chosen. One thing is certain if we do not alter course our lives in Australia will undoubtedly suffer further depreciation. ( Just a note to the people who have followed my scribblings in the past. I have decided to refrain from any more postings on such topics although I may contribute on others.I have come to learn there is the appropriate time when to withdraw and this is it).